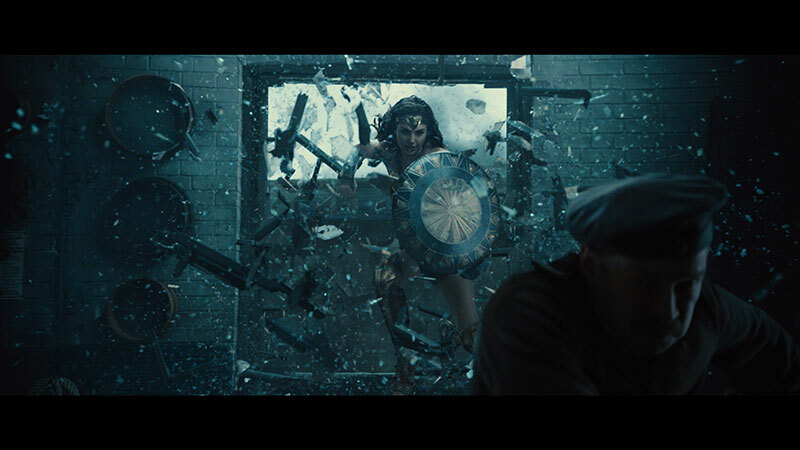 MPC completed 500 action-packed shots for Wonder Woman, delivering hero digital characters, crowd simulations, destruction simulations and environment extensions to the film starring Gal Gadot, and based on the DC Comics character of the same name. 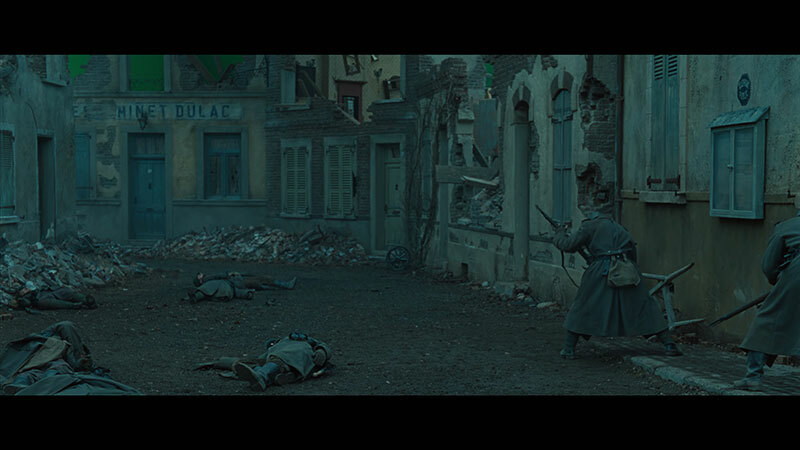 The team lead by VFX supervisor, Jessica Norman, worked on a variety of visual effects sequences in a World War I setting, including a beach battle, no man’s land and a battle in a town. 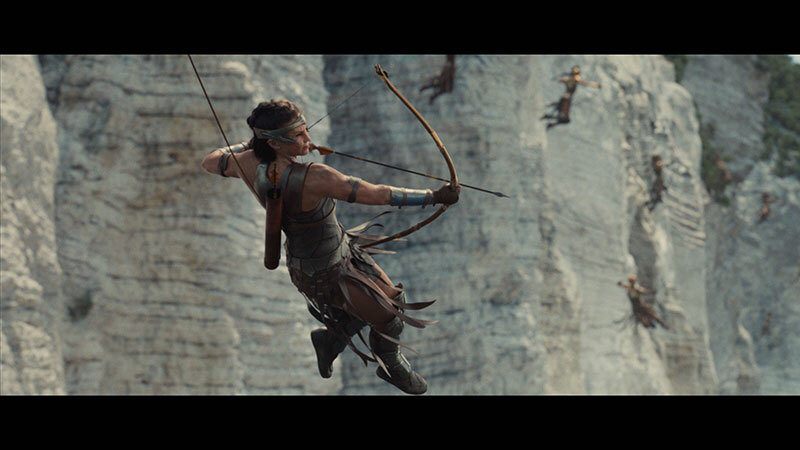 MPC worked closely with director Patty Jenkins and production VFX supervisor Bill Westenhofer. 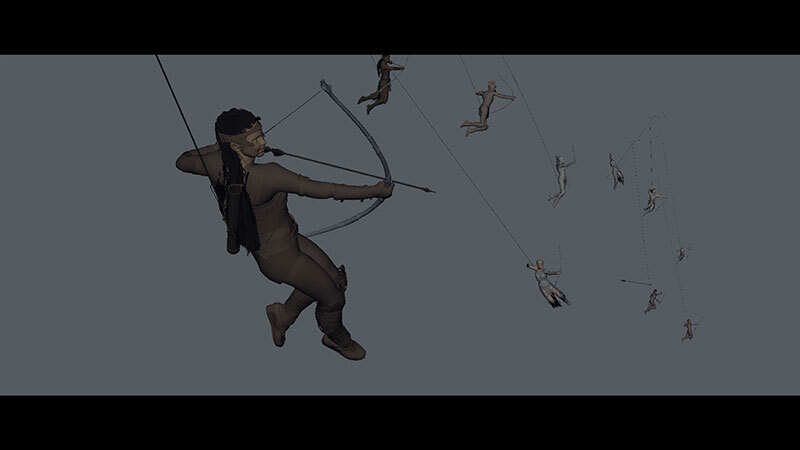 MPC’s assets team built digital double characters for the movie including a hero build of Wonder Woman in two different costumes. 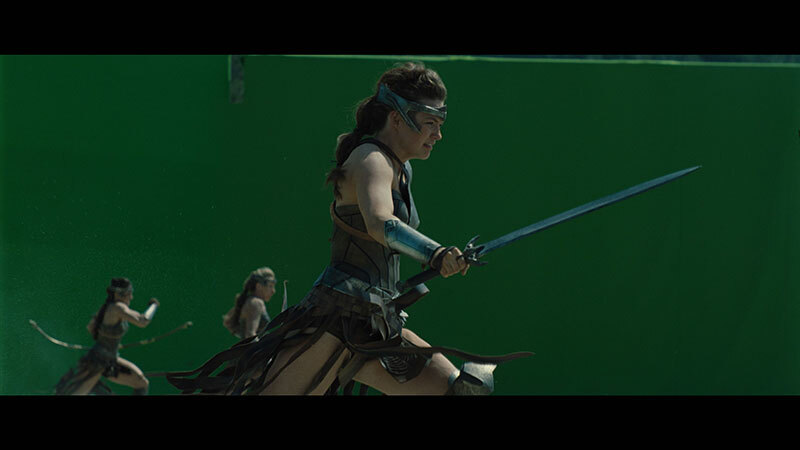 The R&D team developed new controls for hair simulations, to be able to maintain the shape and style of Wonder Woman’s hair in these action packed scenes. Artists also built hero Antiope, Hippolyta, nine Amazonian warriors, horses, as well as four German soldiers in two different outfits and a variety of props and weapons. The beach battle sequence was shot on the west coast of Italy, across two beaches. MPC’s environment artists extended the beach and added cliff backdrops. A shoot team undertook extensive photo shoots at Vignanotica beach and along the East coast of Italy for cliff textures and reference material. Cliffs and islands were lit and rendered by MPC’s lighting team with DMP touch ups. MPC’s concept art team created designs for the protective barrier that surrounds Themyscira, using references of refractions, diamonds, light and colour. FX simulations and animated distorted surfaces combined with multiple layers in compositing were brought together to complete the look. MPC’s crowd and animation teams worked together to extend the action on the beach, using motion capture reference material shot at MPC London, performed and choreographed by the stunt team. They then built a CG crowd to extend the fighting action between the Germans and Amazonians. 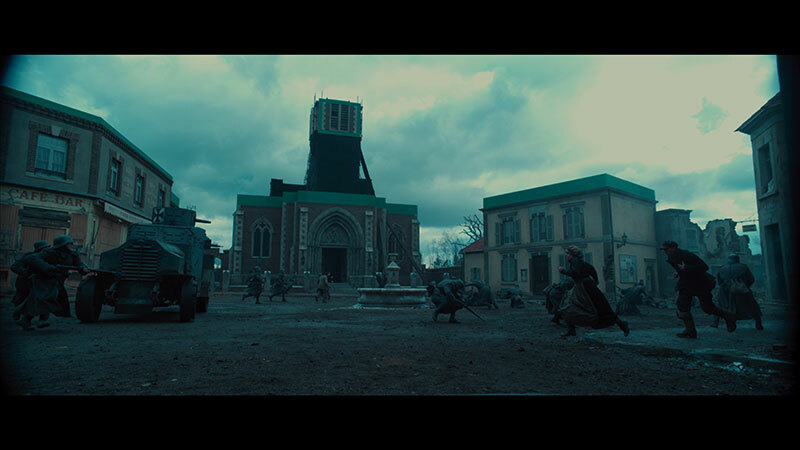 A handful of key shots were filmed in London on green screen stages on a horse shaped robotic motion control rig. 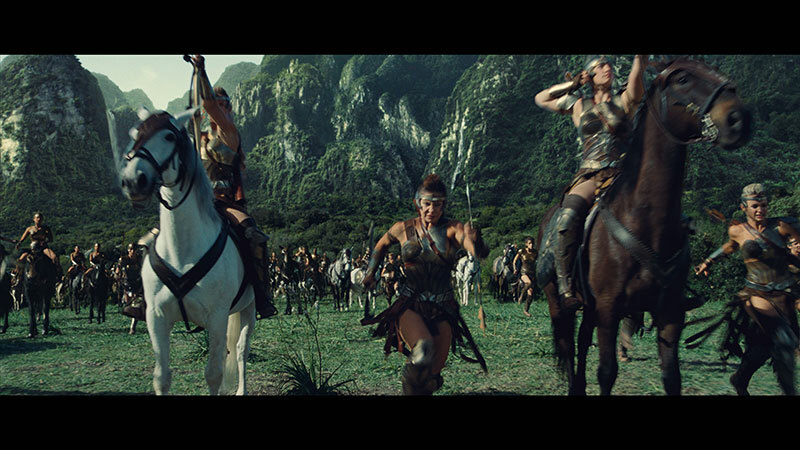 The shots included hero horses, face replacements, CG environments, numerous FX layers and crowd fight action. The no man’s land sequence was shot at Leavesden studios in the UK. 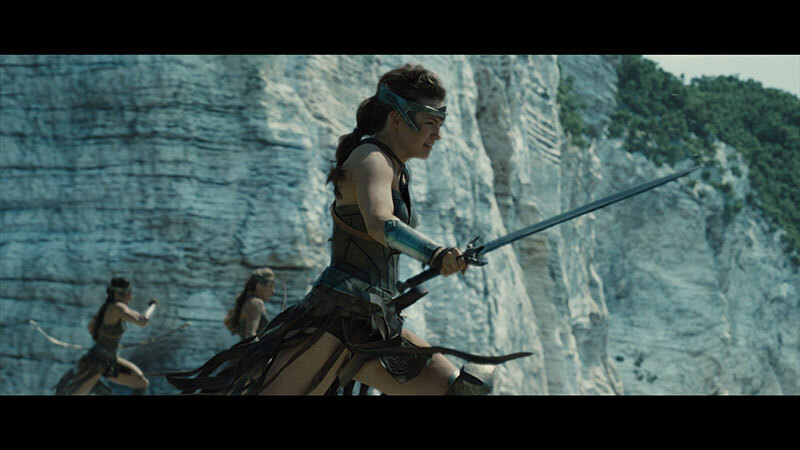 This is the first time the audience see Wonder woman’s iconic outfit as she walks from the trenches towards the enemy. MPC extended the large muddy field dressed and complimented the practical explosions with a variety of CG and live action elements to build up to a crescendo of enemy fire, including sparks, tracer fire, smoke and ground impact. 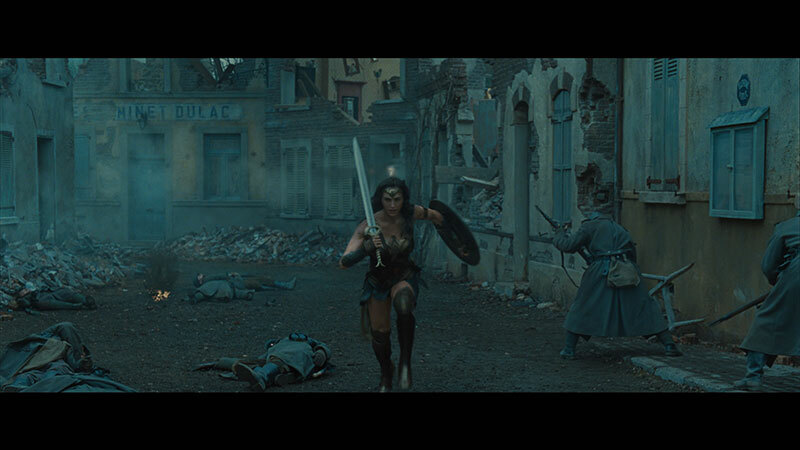 Once out of the trenches in Veld town, we see Wonder Woman take on the German soldiers and artillery. In the sequence practical and CG effects blend seamlessly. Wonder woman picks up a CG tank and throws it as she continues to fight off the enemy. A mix of brilliant stunt action was mixed with photo real CG character work, face replacements, and takeovers, environment extensions and various FX layers. 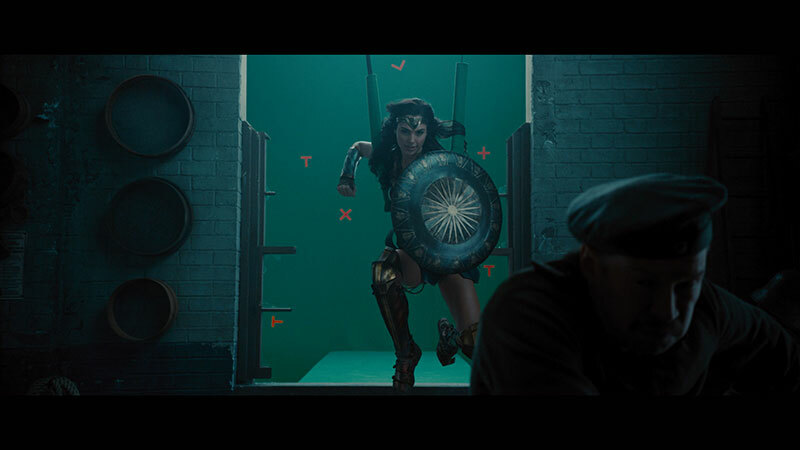 MPC also created Wonder Woman’s glowing lasso which was hand animated, with additional simulations created by the technical animation team. 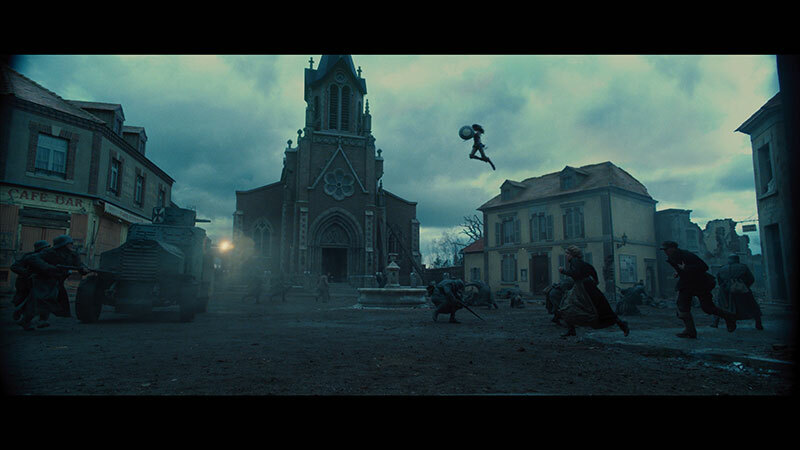 In the final part of the sequence MPC’s FX team destroy a church as a CG Wonder woman jumps to take out a sniper sitting at the top. 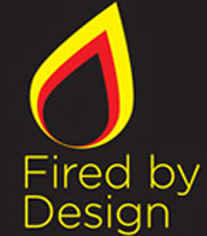 MPC’s FX team used Houdini to break the church and added multiple layers of smoke and debris. The FX team also blew up a CG bridge for the sequence, this time using MPCs proprietary tool Kali.